Limited edition artwork. Signed, numbered and artist signature stamped. All artwork could be custom size, framed or unframed. Printed on high quality Epson Luster Premium Paper or printed on White Aluminum with gloss, semi-gloss or matte finish. 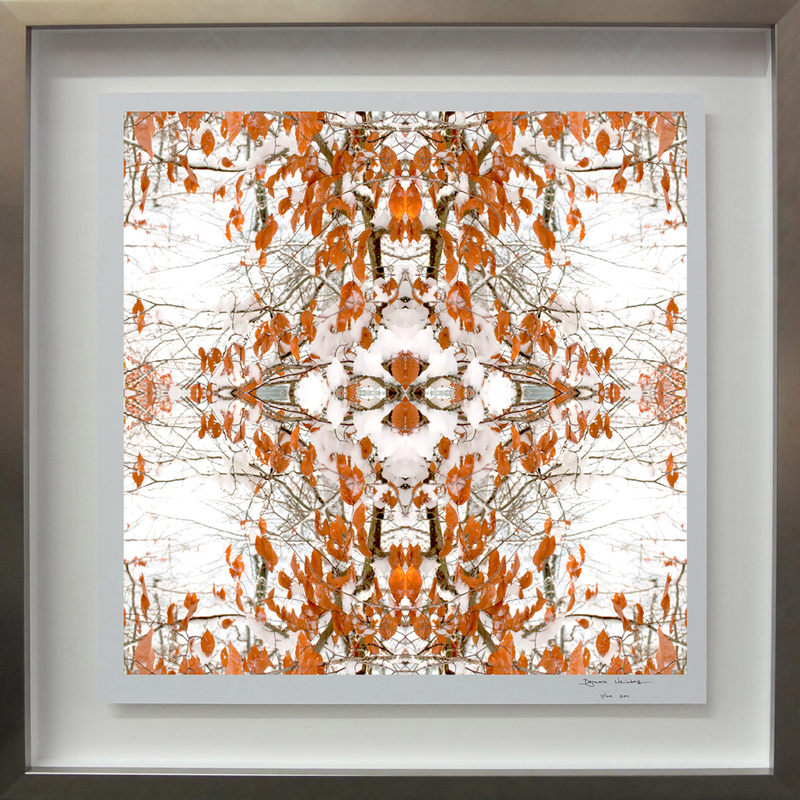 ( LIMITED EDITION ) 33" x 33"
Scarves inspired by my artwork Tree Bark Composition No.581. 33" x 33" 100% Twill Silk. Made in Italy. Limited Edition. Sealife Compositions on March 16-19, 2017 Architectural Digest Design Show, MADE section, Booth M-417, Pier 92 & 94 NYC. Sealife collection was inspired by the natural beauty of our ocean; the patterns, creativity and intimacy that can be observed in the magical element of wild water. My pieces highlight the delicate beauty of our ocean and inspire us to protect the health our aquatic ecosystems, which are currently in a dire state. Dagmara has partnered with the non-profit Oceanic Global to raise awareness for our ocean's plight and will donate a portion of the purchases from The Sealife collection to the organization. Oceanic Global taps into universal passions of art, music and emerging technologies to educate individuals on issues impacting our oceans and provide them with solutions for driving positive change. Oceanic Global creates immersive experiences that: engage local communities, generate measurable impact, amplify the efforts of synergistic groups, and ignite global action. Collaboration with Austrian Fashion Designer: Rebekka Ruetz. Artwork on fabric for her Autumn/Winter 2017 Collection at the Mercedes Benz Fashion Week 2017 in Berlin. Artwork featured at The Architectural Digest Design Show, NYC. March 17-20, 2016. On display at FENDI CASA/LUXURY LIVING in NYC. On Display at BOFFI/MAXALTO in Georgetown, Washington D.C. Artwork featured in Hamptons Cottages and Gardens HC&C SEP/OCT 2014. For NYC Designer Campion Platt's summer house in the Hamptons: Exactly Platt.